An internal document from Best Buy to its employees has been leaked, and the document tells Best Buy employees to discourage their customers from purchasing a Verizon iPhone 4. You can see a photo of the document below which was obtain by Gear Live, what is interesting is that a whole section of the document has been copied from popular technology blog the BGR. Two paragraphs from the document have been copied word for word from an article on the Boy Genius Report, which was written by Zach Epstein. 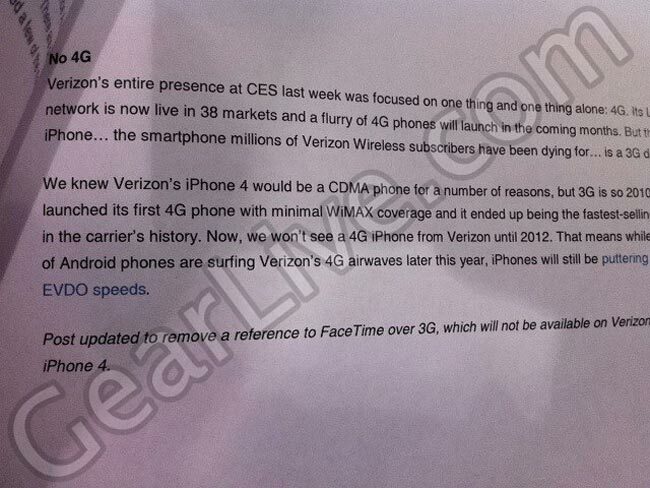 Best Buy wont be selling the Verizon iPhone 4, so are obviously looking to get customers to purchase other smartphones instead, you would have thought that the person who wrote the memo would have done their own research rather than just copying and pasting a couple of paragraphs from a popular technology blog.